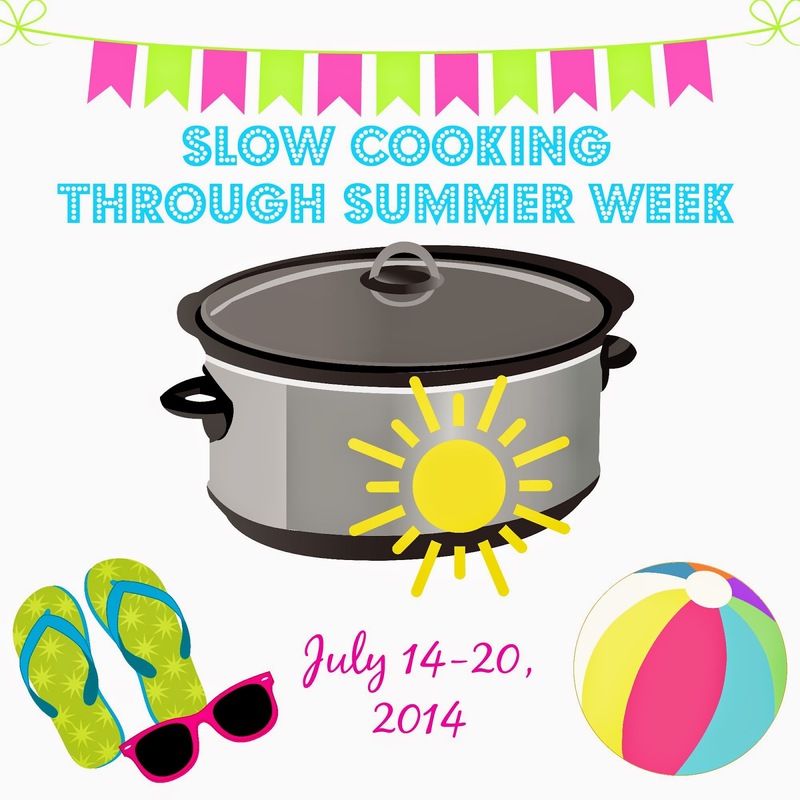 I use my slow cooker all year-round, but summers are really made for slow cooking. They keep the kitchen cooler on hot summer days because you can give the oven and stove the day off. And just about any slow cooker recipe allows you to just throw it all in and forget it, leaving you free to enjoy a day in the sun poolside. And bonus? You still get to come home to a slow cooked, delicious meal already prepared and ready to dish out! This is my second summer celebrating the all mighty slow cooker by hosting an entire week dedicated to all things slow cooker. 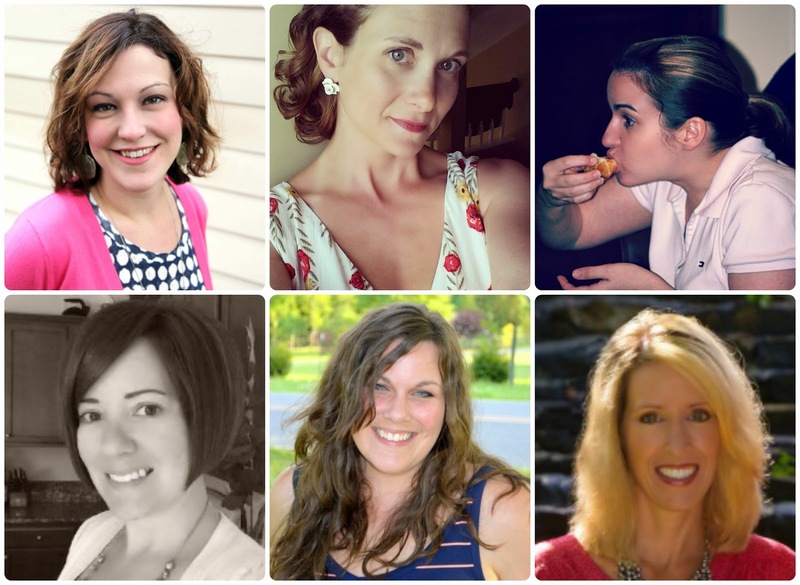 This summer I am bringing along a few of my closest food blogger friends who will be sharing delicious slow cooker recipes all this week. Follow Carrie (Frugal Foodie Mama)'s board The Best of Food Bloggers' Slow Cooker Recipes on Pinterest. And a whole week dedicated to our shared love of the slow cooker would not be complete without a little giveaway, right? And who I am kidding? This week's giveaway is anything but little! Why? Because we are giving one of you a Ninja 3-in-1 Cooking System courtesy of our friends from Ninja Kitchen! 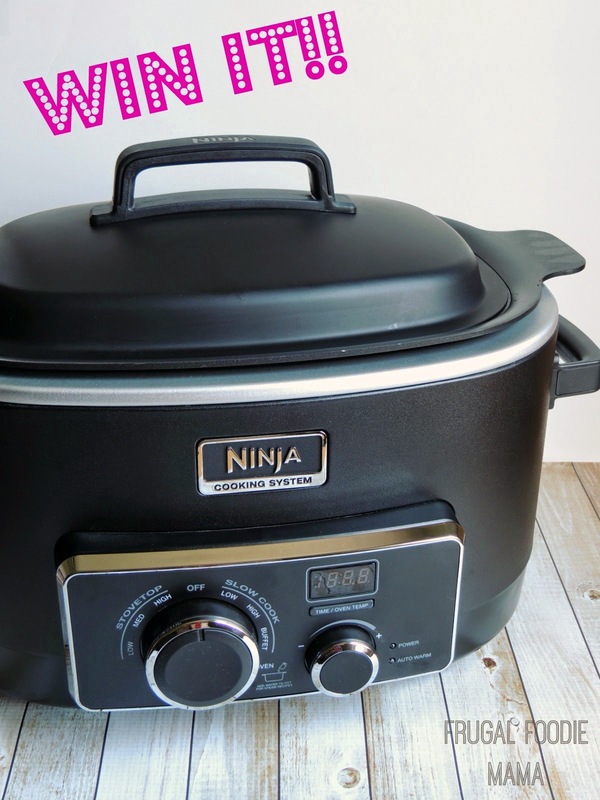 The Ninja 3-in-1 Cooking System goes WAY beyond being just a simple slow cooker! This slow cooker does it all- browns, slow cooks, bakes, steam cooks, and roasts! This giveaway is open to U.S. residents only. All entries for the winner will be checked and verified, so please make sure you are doing what you are claiming in the Rafflecopter or all your entries will be voided. No funny business, folks. ;). By entering you give the right to use your name and likeness. Number of entries received determines the odds of winning. One winner will be selected. The winner will be notified via the email they provide, and will have 48 hours to reply to the email. If the winner does not reply back within the 48 hours, they forfeit the prize and a new winner will be chosen via Rafflecopter. The prize will be sent directly from Ninja Kitchen. The bloggers hosting this giveaway are not responsible for the delivery of this prize. Entries must come from your MAIN social media accounts, not accounts that have been set up separately just for entering giveaways. Entries from these types of accounts will be disqualified. Protected tweets do not count as an entry method for tweeting. Tweets must come from a public account. Bloggers in this group giveaway and their immediate family members in their household cannot enter or win the giveaway. No purchase necessary. Void where prohibited by law.